Get wild and wear your favorite animal print! Take a walk on the wild side with the Academy Foundation at the 13th annual Orbital Gala. Explore the wonders of the animal kingdom - from the lions of Tsavo to the African giant swallowtail butterfly. 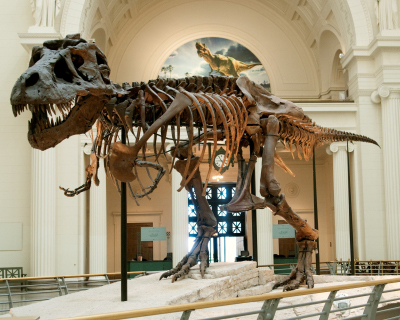 Wear your favorite animal print and prowl the exhibits, feast with Sue the T. rex, hunt for silent auction treasures and shake your tail feathers on the dance floor! This year's special honoree is Richard P. Mills, MD, MPH. For more than three decades, Dr. Mills has been an integral part of the Academy's leadership, most notably as EyeNet Magazine chief medical editor, EyeCare America chair and Academy president. The impact he has had on ophthalmology as a physician, teacher and leader are immeasurable.